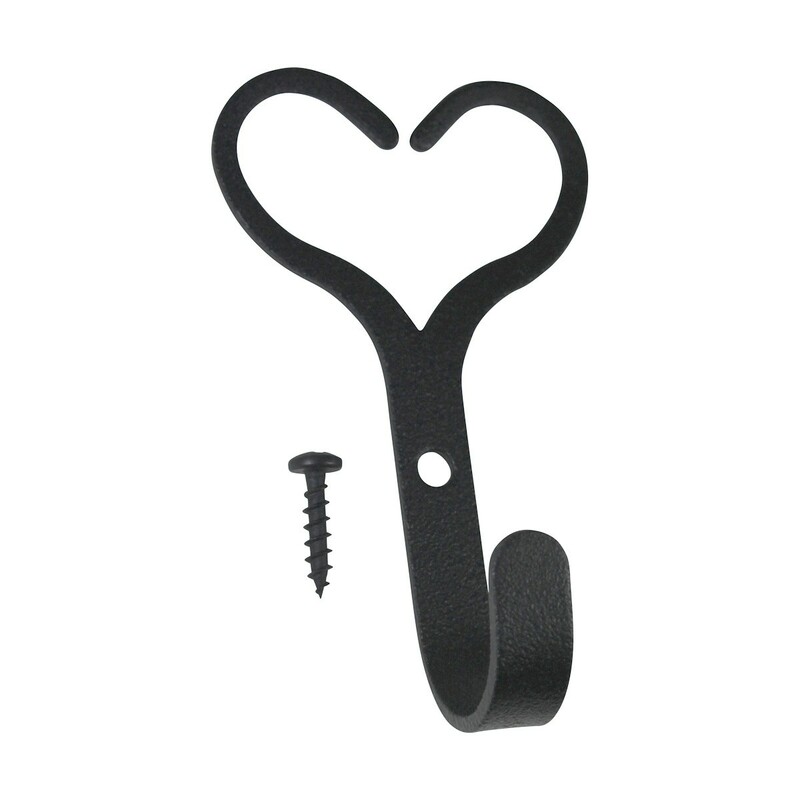 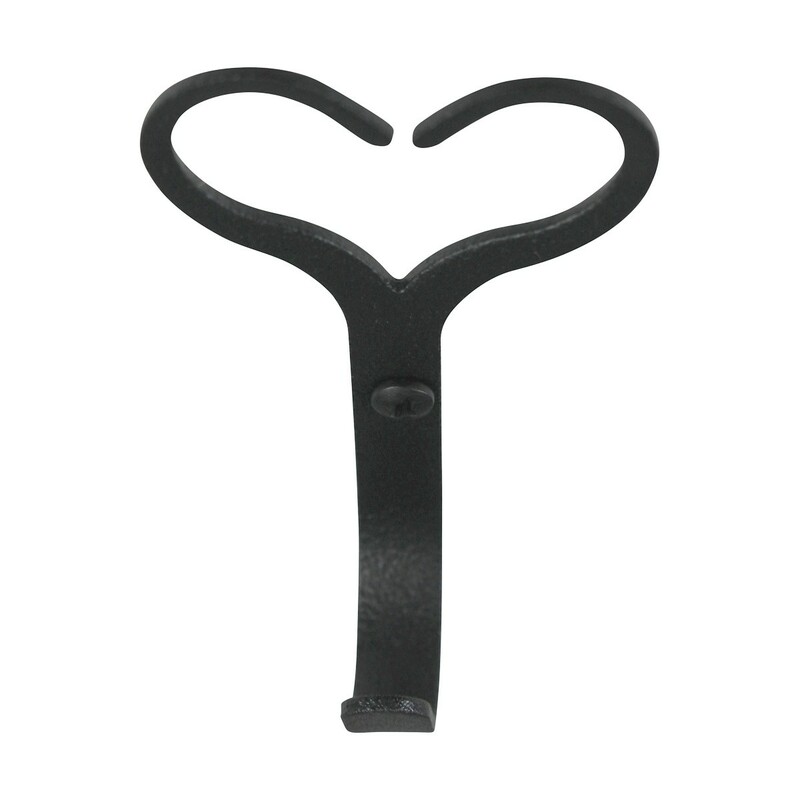 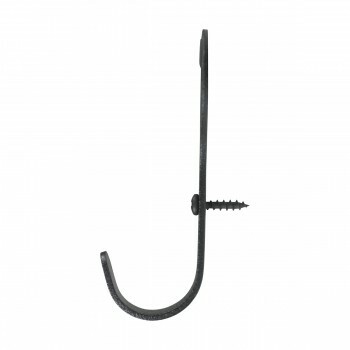 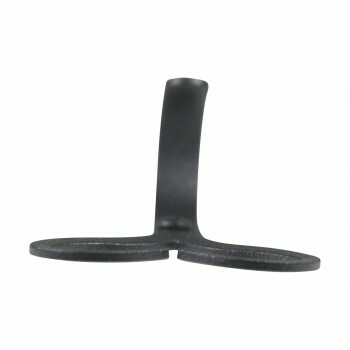 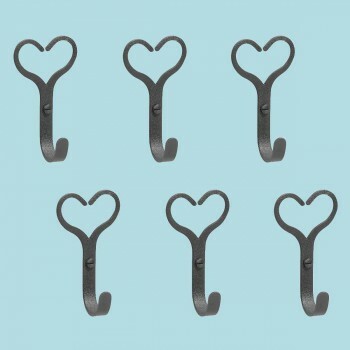 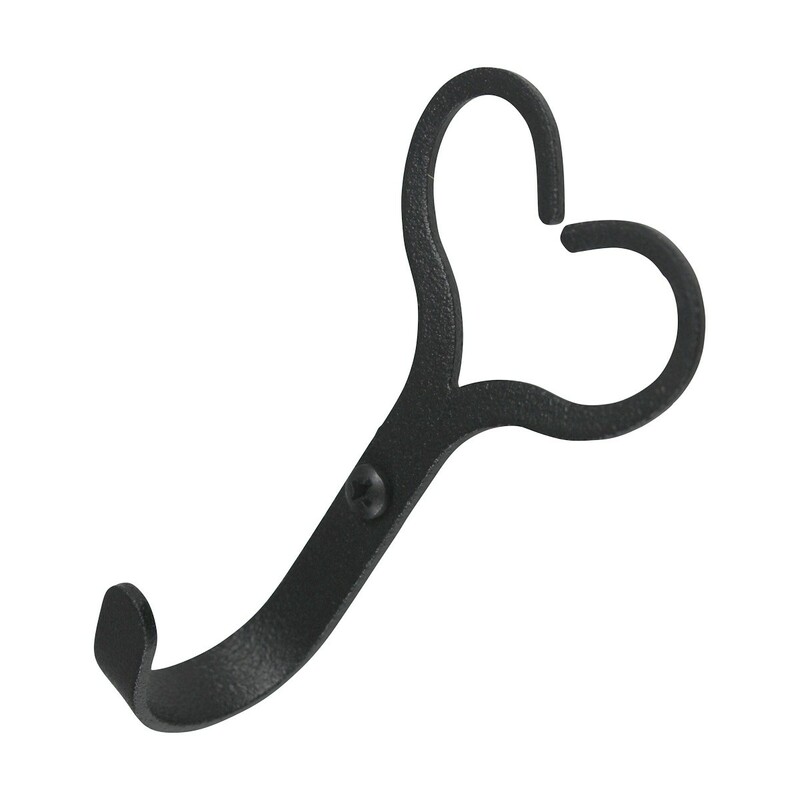 (6) pieces Robe Hooks: Protected with our exclusive Renovator's Supply Black finish, this wrought iron robe hook has a great heart design for the old-fashioned look that you crave. Our master blacksmiths use heavy-duty stock in our own New England forge. 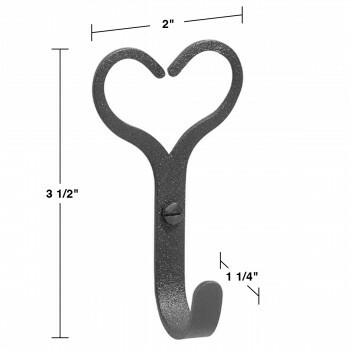 It measures 3 1/2" long by 2" wide with a 1 1/4" projection.